Have you ever wondered what all those text message abbreviations mean? You're not alone. Many adults, not to mention a few teens that don't have a cell phone, are left in the dark with all of those abbreviations. Browse through the lists of the most popular examples, as well as a few less common ones, to help you understand what you may be missing. 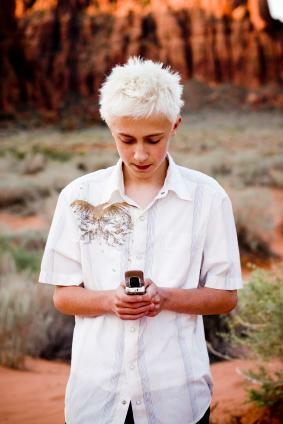 SMS, or short message services, is another abbreviation for text messaging. When it comes to these abbreviations, the messages certainly are short. You may have seen the following abbreviations in emails from friends and colleagues, and they are used when sending text messages as well. Some of them, such as FYI, have become common slang in the English language. TechDictionary.com offers a great collection of text messaging terms for true techies. Text Me Free includes text messaging terms as well as what all those little smilies and other symbols mean. AIM Dictionary presents a comprehensive SMS dictionary for text messaging. Lingo 2 Word is a neat translating site and dictionary of text message abbreviations. Web Wasp provides lots of unusual SMS abbreviations, including European slang. The mext time you are text messaging, try using a few new SMS abbreviations to spice up your conversation. You may even come up with a new abbreviation to share with others in cyberspace!